Fauquier, Loudoun, Rappahannock, Prince William, Culpeper, Clarke, Madison, and Warren. A seasoned, entrepreneurial management executive, Anne Michael Greene has a 20-year record of developing and directing effective strategic marketing and communication initiatives for profit and not for profit organizations. She has worked with buyers, sellers and builders in numerous complex real estate transactions since becoming a realtor in 2003, including land deals, new homes, re-sales, farms and commercial properties. Raised in Fauquier County, Anne Michael has spent her professional career building relationships throughout Fauquier County and Piedmont Region. This network served her well as the principal broker for six years of a family-owned real estate firm in Marshall, Virginia, where she assisted with some of the economic development and preservation of Main Street in Marshall. She applies her management skills to buyers and sellers guiding them toward realizing their real estate objectives. Her industry and educational background and experience, combined with a keen vision and foresight, allow her to evaluate both current and potential value of assets and lay the solid groundwork for substantial and consistent Return On Investment. Anne Michael is a professional dedicated to the highest level of customer service, making every effort to assist her clients. She was elected to serve on the Board of Directors for Greater Piedmont Association of Area Realtors for 2018-2020. She enjoys her time as a vocalist for two choirs at Trinity Episcopal Church in Manassas; traveling worldwide on photography expeditions and maintaining her small farm in Rectortown, Virginia. Please contact her for a confidential consultation about your real estate needs and goals. Call or send her a message to ask for a free property evaluation. Learn more at www.amgreenerealtor.com or www.wfp.com. 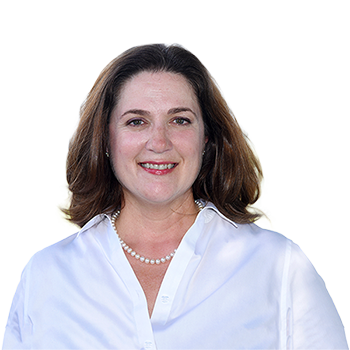 Anne Michael handled a complex 1031 exchange for us involving the sale of one investment property and purchase of another property. Her market analysis, repair recommendations, network of reliable contactors, list pricing, and contract negotiations were all superb. As a result, we sold our investment property within 14 days at the list price and purchased our replacement property some 10 days later. Anne Michael's experience, diligence, and attention to detail made both transactions effortless and worry-free. Moreover, throughout the process, she made us feel like we were her only client. We highly recommend Anne Michael Greene for your next real estate transaction. We would like to take this opportunity to let you know how very pleased we were with Anne Michael as our realtor in the sale of our home in Marshall, VA. From our first meeting to the closing, she provided wonderful guidance in a personal, caring and professional manner. We were constantly amazed at her knowledge in so many areas. Whatever we needed she was always there with guidance and recommendations. When we had questions she always responded in a timely manner. She promptly provided feedback after showings. We could go on and on but primarily want you to know that we rate her as an outstanding realtor and are so grateful that she represented us.